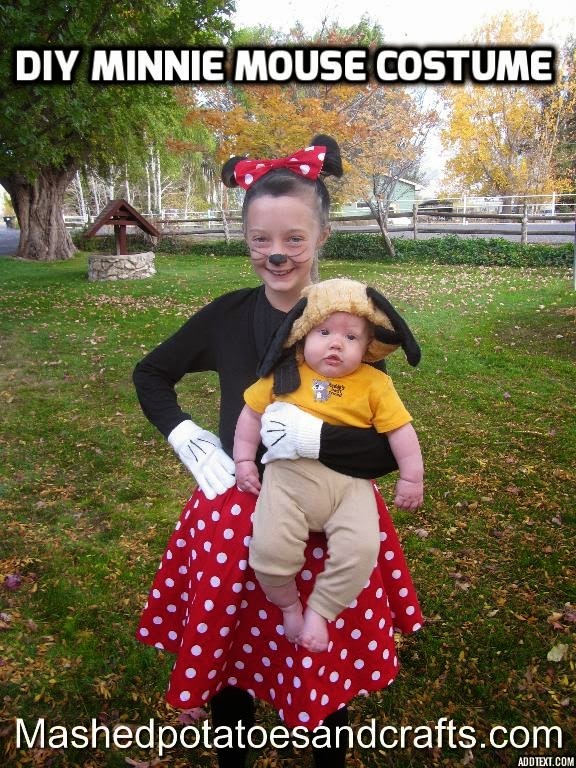 My daughter wanted to be Minnie Mouse for Halloween and we needed the perfect Minnie bow. I've posted the complete tutorial for the bow here. 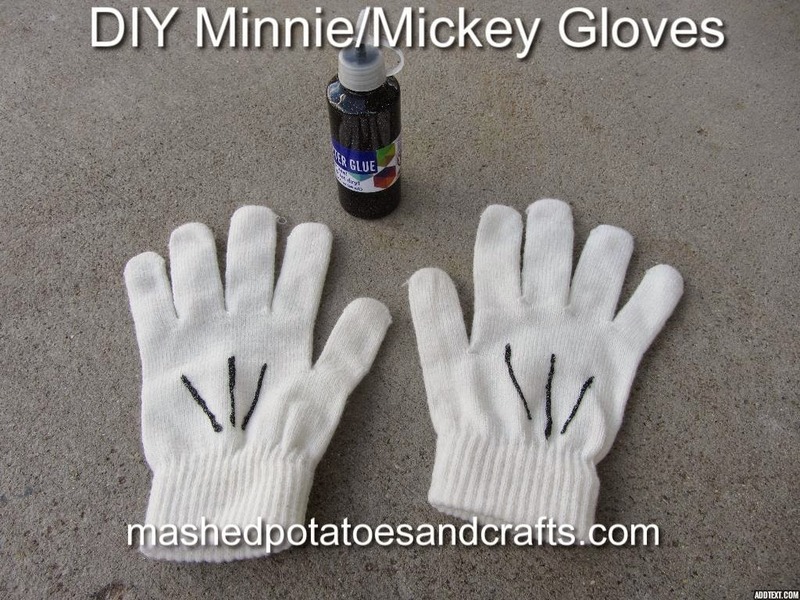 I also created a quick tutorial on how to make your own Minnie Mouse Gloves and this post to see how we put the costume together with a super simple skirt. There are tons of patterns online for making cute hair bows but I couldn't find any that were like the large bow with rounded edges that Minnie wears, so I adapted a pattern to create just the look we wanted. 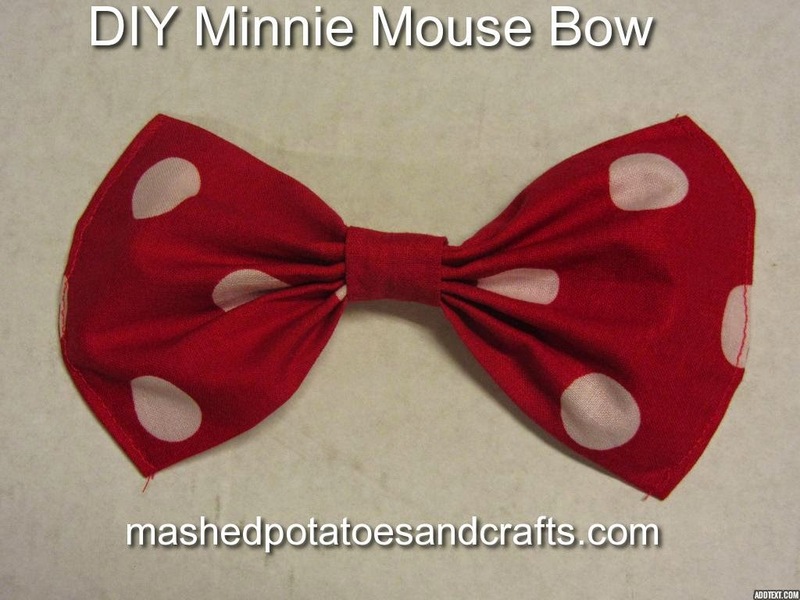 To make most bows like this, you just cut a square of fabric, but to get this larger size you want one side of your square bigger than the other. See the difference between the two bows below? I'm going to show you how to make the top one with a fuller, rounded edge. I cut a piece of fabric 8 1/2 inches by 8 inches from this darling cotton fabric I found at JoAnn's Fabric. Fold your square in half so that you will stitch the shorter sides together. Sew right sides together, turn out and press so seam is in the middle. See photo below. Here's the part that is slightly different than your typical bow. Normally you'd just fold in the outer edge and stitch like the top piece in the photo below. Instead you need to fold the edges in carefully so that your outer edge is rounded instead of straight. There's no real science to this--think curve. Just fold in a little more at the corners and a little less in the middle, making a nice scallop shape. It helps to press this with your iron and use a few pins to keep it in place. Stitch along the outer edge with matching thread. Now accordion fold the middle of the bow and pinch it together with your fingers. You can hand stitch this, but I'm all for quick so I just put it under the presser foot and zigzagged across. Now you need a piece of fabric that is 2x3 inches. I don't have step by step photos here. Just fold the 2x3 piece in half lengthwise and stitch right sides together. Turn right side out and stitch the loop together to create the middle band for the bow. Enjoy this delightful little bow. 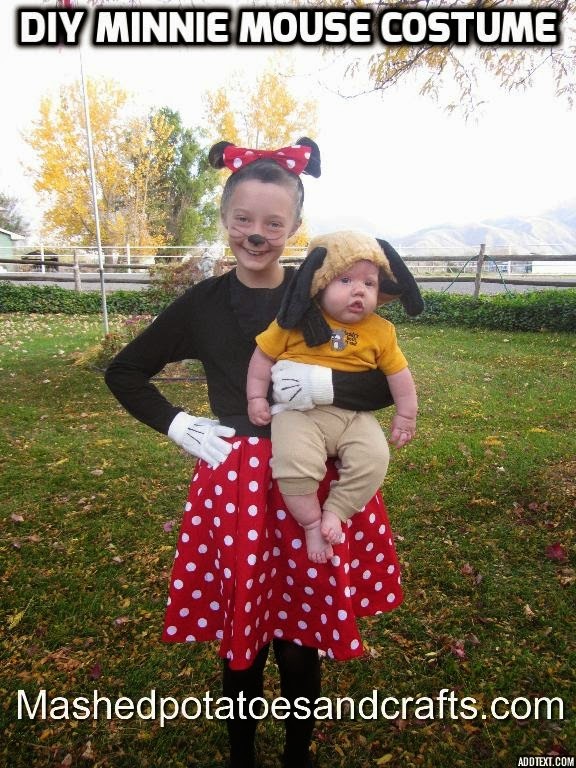 My Minnie Mouse sure was happy with how it turned out! Check out Diamond Rings Are Deadly Things and our site for more great craft ideas and tutorials! In preparation for the cutest Minnie Mouse costume ever, I searched for just the right gloves for my pre-teen and couldn't find what we wanted so I decided to make them myself. This project was much easier than I anticipated and turned out so cute. All you need is a white pair of gloves (I got mine at JoAnn's Fabric for $1.00) and some black glitter glue. The glitter adds some fun sparkles to the black lines. Lay the gloves out flat or alternately you can put the glove on your hand to apply the glue. Put one strip of black in the middle and one slanted out on either side. You'll see that the glitter glue looks pretty goopy here, but it will dry nicely overnight. Here's the finished product. The glue absorbs into the material and makes a nice even line. We didn't encounter any problems with cracking when she wore the gloves so I'm calling this a success! 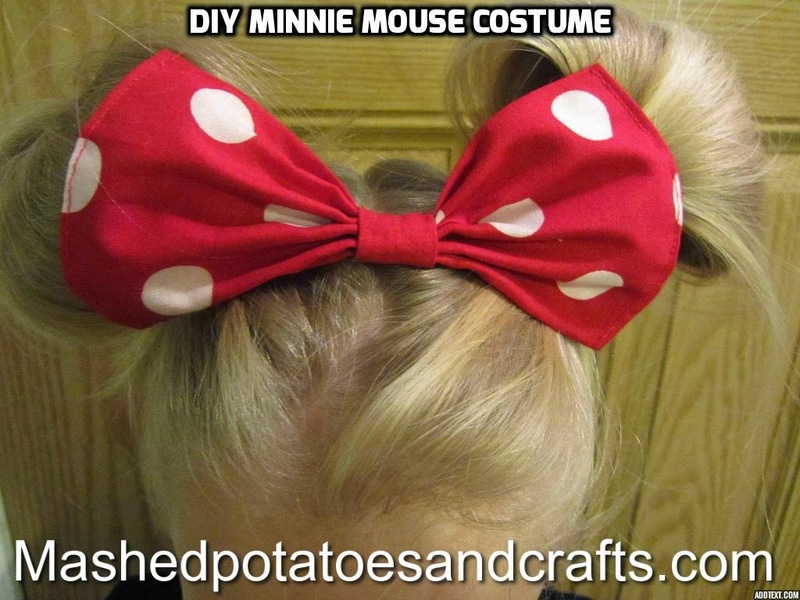 Next, check out this post to see how to make this simple and cute Minnie Mouse bow! And visit this post to see how to make the skirt and put together the entire costume. Check out Diamond Rings Are Deadly Things for more fun craft projects! and I'm back with a tutorial. 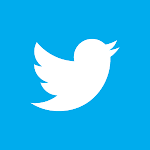 but now I'm back and will be posting every month. Time to get started on Christmas cards. Yes! I said Christmas cards. so you don't have that hectic rush at the last minute. I've got an easy card for you to make using scraps of Christmas paper. type of paper, so it can be used for any holiday or occasion. but they all have Christmas theme and colors that coordinate well. all should be the same width. I cut all mine 1/2" wide. You will be making a standard 5 1/2 x 4 1/4" card. You will need a piece of white card stock cut to about that size. a little smaller than the card size. Try to stagger the pieces as you go. Continue gluing pieces in a random order. I like to try not to have like pieces next to each other. Continue this until the entire piece of card stock is covered. Now with a sharp scissors, cut the extra off all edges. This is what your piece should look like. the front of a standard 5 1/2" x 4 1/4" white card stock base. Now we are ready for the sentiment. and trimmed a narrow mat around it. or print something from your computer, or even hand write it. Adhere that greeting to your card. or, as I did, use foam tape to give a little more dimension. Now you have a lovely card ready to send. You can stamp a message inside or hand write a personal note. This type of card can be made with any kind of papers. How pretty would this be with some flowers and dots or stripes? I'm sure you'll find some fun combinations. Until next month, have fun crafting!